Host a Champagne New Year’s Eve Party! If you’re looking for New Year’s Eve plans, I have the perfect idea for you. Host an elegant New Year’s Eve soiree at home and enjoy bringing in the new year in casual luxury. 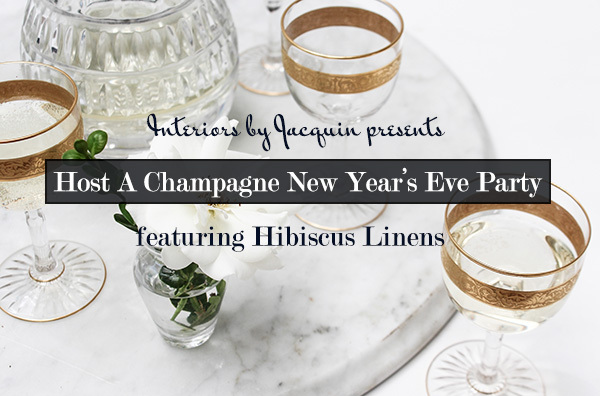 Hibiscus Linens Co. shares stylish inspiration on how we can decorate our own Champagne Party at home this New Year’s Eve and I have the perfect menu recommendations to make party planning an ease! The countdown has started again, just a couple of days until the Times Square ball drops and we have a whole new year ahead of us. What better way to kick start 2016 than mesmerizing your guest with a glitz and champagne party! Nothing says glamour like an intimate gathering at home, with a few friends and a shiny new start. When hosting a small affair, details will make a big difference and set your event above the rest. 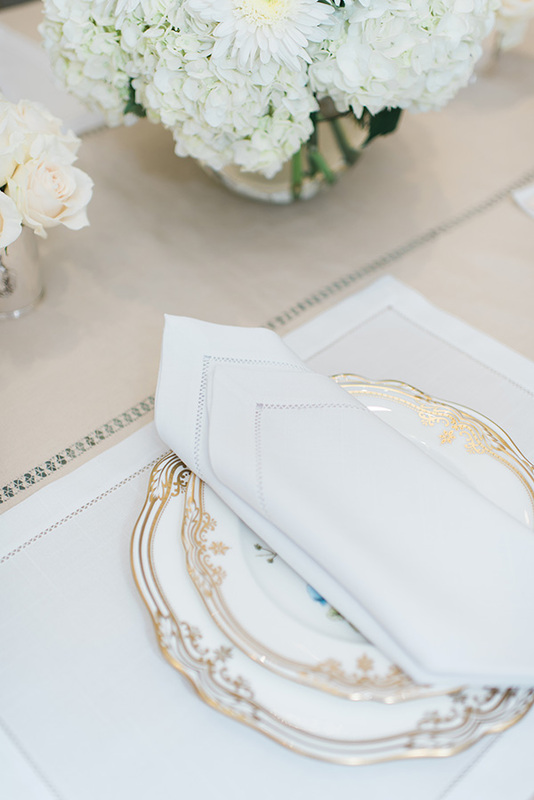 To create a celebratory look try using gold china or gold-accented table decor, then and add linen napkins in a shade of white or even with a little sparkle. Gold and cream are a classic and elegant color combination that will go beautifully with any style decor. 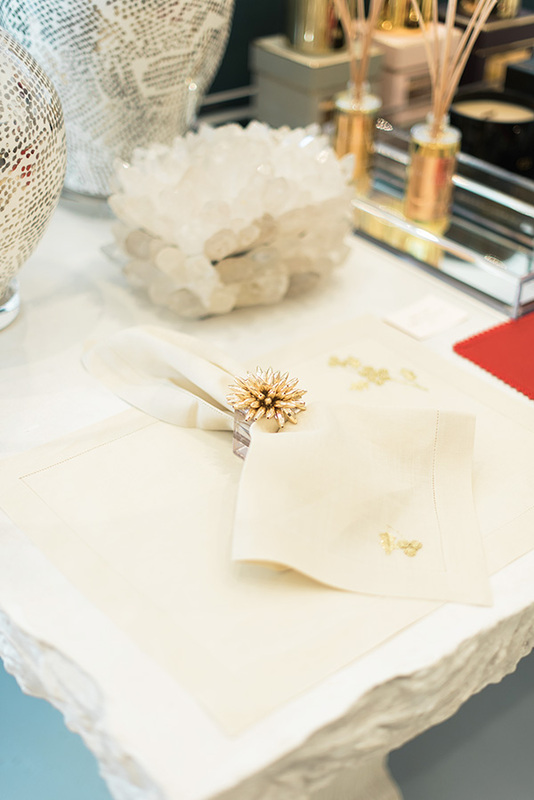 Your gold accents will add a glamorous feel to your party and who doesn’t love a little glamour when celebrating! 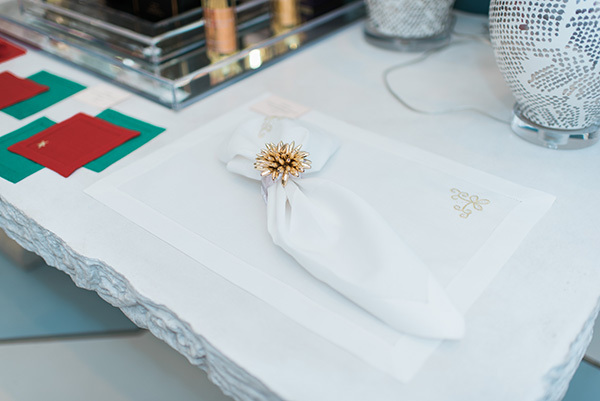 The linen napkins will also be useful while your guests walk the party, drink and mingle. Linen napkins and gold accents will go a long way toward dressing up your house party, creating a special ambiance for you and your guests. 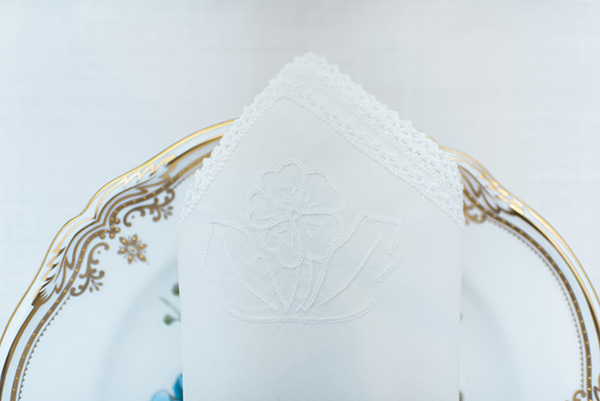 For a personal touch, have your linen napkins monogrammed for added elegance. Your sophisticated party, full of sparkling wine and details will be the perfect atmosphere to create special memories with friends and family. Pictures by the talented Elisheva (Houston, TX). Need high-quality linens for your next party? 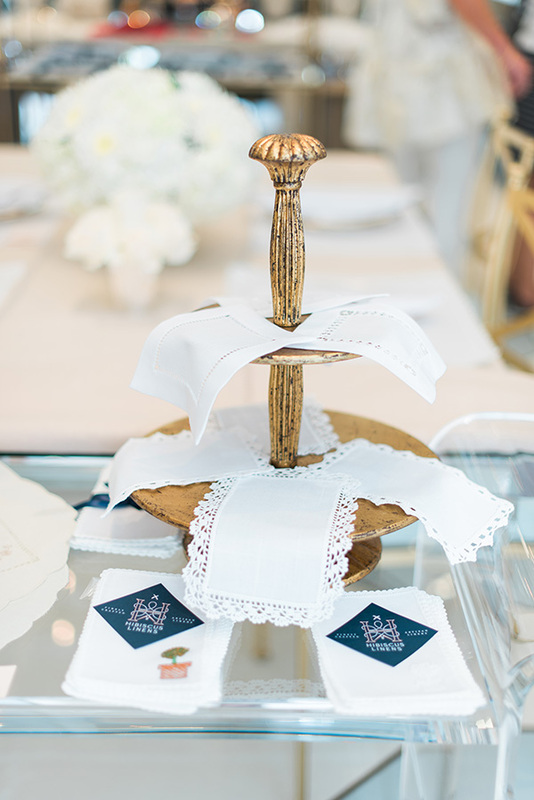 Visit Hibiscus Linens to source beautiful, hand crafted linen napkins for your next special celebration. They will add instant elegance to your party! Use code SHOP25 to get 25% off your first order. Roasted Vanilla Grapefruit Mimosas – Your Champagne Party wouldn’t be complete without champagne or sparkling wine, and it’s this cocktail’s signature ingredient! Coconut Milk Eggnog – You can make a non-alcoholic and spiked version for your guests. The coconut flavor will be a nice surprise! Roasted Spiced Pear Cocktail – Since you’ll already be using pears in the recipe below, pear and goat cheese flatbread with honeyed walnuts (#4), keep the theme going with a pear cocktail. And now that I have you curious about the menu, I’ll jump into the appetizer selections! 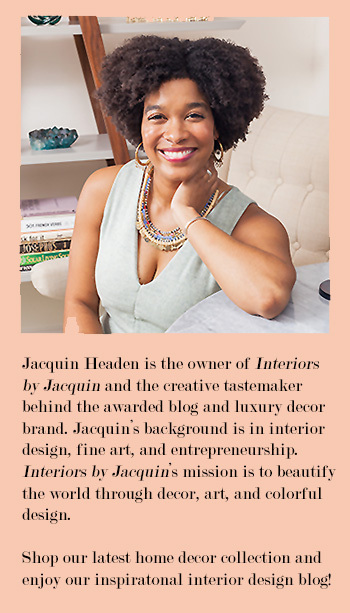 I hope this post has inspired you to invite a few friends over for an elegant, at home get together this holiday season! 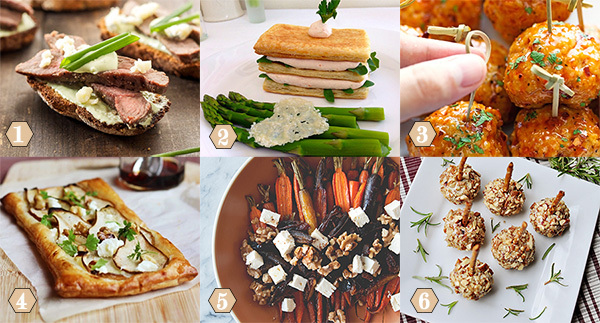 Which of these menu items might make an appearance at your next soiree?